It happens to all of us. You’re supposed to be starting a new group tomorrow and have no idea what you will do. You rocked the interview and got that new job but you start tomorrow and could really use some suggestions! You’ve been working with kids FOREVER and feel sick and tired of doing the same songs. Again. This. Year. Your groups with kids are huge and feel unmanageable. You can barely get through an instrument song let alone work on SPECIFIC goals and objectives. You know what? I’ve been in every single one of those situations. It’s rough! Let’s set the record straight on the most efficient practices and strategies for running a session with kids, whether you have an individual session with a quiet 3rd grader or a wild, unruly bunch of 3 year olds. I am so excited to share this post with you because I KNOW it will be insanely helpful. It is FULL of pro tips, song suggestions, resources, and MORE. The child’s needs, physical environment, the people in said environment, behavior management, and actual music interventions! Let’s get this right. First and foremost, in everything we do as music therapists, we must consider the strengths and needs of our client(s). What has your assessment revealed? What goals and objectives do you have for your client? For your group? Are you clear about your purpose for each session that you are running? Take a moment to review your goals! This will ultimately determine the music strategies that you choose to use and the approach you take within the session. Where is your music therapy session taking place? A classroom? A closet? (believe it or not, this has happened to me) A sensory gym or spare speech therapy room? The cafeteria? Are you sitting around a table? Are you sitting on the floor? Setting up the environment in a positive and efficient manner will determine the success of your session. For example, this morning I visited a pre-K inclusion classroom for the first time this school year. If you are not familiar with the term inclusion, that just means that the classroom consists of children with special needs and typically developing peers. When I walked into the room I knew immediately that I had my work cut out for me. Each child’s name was placed on the carpet somewhat haphazardly. Not in a circle. Not on each square. Just randomly placed. I understand the idea. They are teaching the children to recognize their names and therefore they are able to move the stickable names all around. When it comes to creating harmony and efficient sessions, this is less than ideal. When we did a passing activity, how do they know who gets the item next? When we sing hello, how do they know who to wave to next? Yes, I can tell them (and I did!) but it was certainly not intuitive. It may seem trivial but how your clients are physically arranged can make a big difference in how they respond and engage in the music strategies that you use. Seating. If you are working with a large group, circle or semicircle style will make all the difference! If the group does not have its own carpet squares or “dots,” I would recommend getting some so you can clearly define boundaries for each child. If you are seated at a table, try to ensure that each child is within your reach. It’s hard to engage with a student when they are far away! Again semi-circle style is preferred. What if you have no options for circle or semi-circle seating? You could change your own positioning. Leave your clients stationary (seated at individual desks for example) and YOU move around the room throughout the session. Distractions. Nothing is more annoying than when the radio or some other device is playing music or making noise during the session. Kindly ask the teacher or staff to turn it off. Or go turn it off yourself. No need to make a big deal of it. This has definitely happened to me. At first, I tried to continue but as you probably know, your brain cannot focus on two competing input sources at one time. My kids and I simply could not focus on the music strategies. This is an easy fix. Other people talking. If you have lots of staff present during the session, the best way to reduce their talking to each other is by engaging them directly in the session! We will talk more about this later. Windows and doors. Are there windows in the room where your session is taking place? Are people constantly walking by the door? This may or may not be an issue. But if it is, I suggest facing your group away from the window or door. Close the door if appropriate. Kindly take the initiative to rearrange if the teacher or staff seems oblivious to the distraction. They will probably not mind at all. Sometimes we forget that there are more bodies in play that just our clients when it comes to running our music therapy sessions. When I am in a session, I almost always have teachers, other paraprofessionals, and sometimes speech therapists who are co-treating in the group. Extra Hands. How many hands do you have? Real ones, not imaginary or desired…. Ok, so 2. 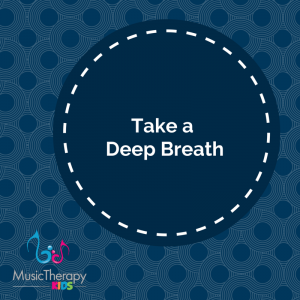 You can quite literally multiply your reach and the amount of meaningful interactions that occur during your music therapy sessions by utilizing all the extra hands in the room. YOU have to take the initiative to get the teacher and staff involved. Otherwise, they might be sitting there wondering what they are supposed to do. Thinking that they don’t want to overstep any boundaries since you are “in charge” of the session. When I reverse the roles and imagine myself going into a speech therapy session as an assistant, I feel that exact way. The speech therapist is in charge so I wait for instructions. Sure, you run into those who jump in and ask “how can I help?” but this is not the norm. You can’t do it all. When you have assistance this will free you up to provide the best musical experience for your students! Some songs just don’t sound right acapella. And it’s awfully hard to play the guitar and position a visual aid so everyone can see (though I have had my fair share of practice multitasking!) When you can keep the music flowing, this will keep your children engaged and they will be less likely to wander off or lose interest. Overhelpers. Yes, there are parents and staff who “overhelp.” This means that before Jack has even attempted to respond, they are cueing him “Jack follow directions. Do this.” and on and on. What are we to do with these zealous music therapy helpers!? Offer an alternative job such as holding the visual aid or passing out/collecting/cleaning instruments. Or directly say “let’s give him more time before cueing.” Remember, you are the expert! Magical Disappearance. Yeah…..this happens. I am enthusiastically greeted when I arrive to the session but as soon as I pull out my guitar, all the help disappears! Not cool! What to do? Be proactive. Stop this problem before it starts! If you know you will need assistance, make that clear in your initial conversation with the teacher or facility contact. Relaying your expectations up front is the best way to ensure you have the support you need. If you are correcting habits formed by a previous dynamic, be patient. First discuss directly with the contact person. Then go up the ladder of command as needed. If you are in a center based setting and the parent or caretaker really needs to stay for the child to be successful, have that conversation with the parent. When you have the best interest of the child in mind, you will most often overcome these challenges. We’ve addressed the environment and the adults in said environment. Now it’s time to talk about handling the behavior of your student or group. Learn all you can. 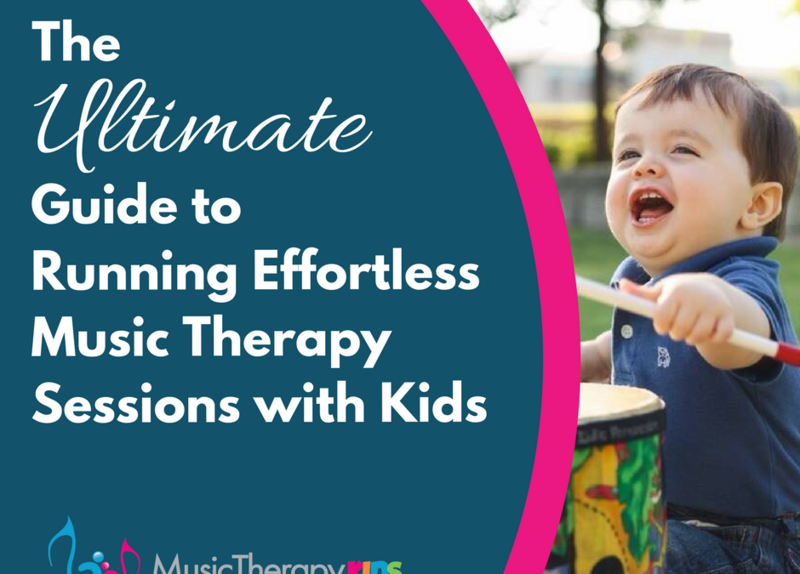 The more you know about the approach(es) that have already proven effective with a given child or classroom, the better prepared you will be to run your music therapy session. Rules and Expectations. Take the time to get to know the classroom rules and expectations. Is there a token system in place? Does the child respond well to 1st/then statements? What are the consequences of misbehavior? How many opportunities does the child have to comply? Do certain children feed off of each other? If you place a demand, must you follow through or is it ok to allow them to decline to answer? These are questions that you can get answered ahead of time. And being prepared is your best line of defense! Consistency is key. In one of my sessions, I know that if I have asked the child to follow a direction, I must ensure that I get a response before moving on. I have placed a “demand” and the child must “comply.” If I was to let this slide, then future participation would be compromised because the child would think answering was optional and probably ignore me! I would also be inconsistent with the rest of the team, causing the student to be confused about how to act throughout the day. Anytime I’m not sure how to react or handle a situation, I immediately ask a team member for guidance. It is in the best interest of the child for me to be consistent in my approach. If you say that you will take a shaker if it is thrown, take the shaker! Music is your friend. Duh! I especially love this part because it is what makes us unique as music therapists. This is our superpower! How can we use musical cues to shape responses and encourage compliance? 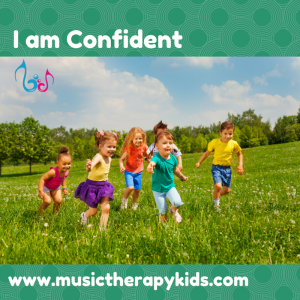 First, I will say that so many of my clients who receive music therapy do not even display negative behaviors during sessions because they are so highly motivated by music. It gets a little bit tricky with groups because the kids naturally feed off of one another. This can be positive and negative. But I use music and musical cues all the time to regain “control” of the group. Let’s imagine you are singing an instrument song with a group of fifteen 3-5 year olds. This can be super chaotic but I have developed a ritual that helps reduce the chaos during instrument play. 2) Pass out the instruments one at a time to each child. Since I don’t have 20 matching shakers, I frequently sing something along the lines of “you get what you get” because over time they start requesting “I want a pink one. I want a blue one.” The group can be reminded that this is not necessarily a time for choice making. You could also purchase a set of matching instruments and prevent this from occurring. 3) Next I do a 4-3-2-1 drumroll/countdown with a hard “stop” musical and gesture cue with the guitar. If the group didn’t all respond we do it again! 4) Now that you have gained their attention, you can begin your instrument song! 5) Make sure to follow with any rules or expectations that you have set. 6) Enjoy a successful music intervention. 7) When it is time to collect the instruments, I recommended calling each child one by one to bring you their instrument. Otherwise they will rush toward you and create unnecessary chaos. Alternatively, you can collect the instruments one at a time by moving around the circle and give each child the opportunity to place the instrument in your hand. Gauging Needs. No matter what you have planned for your session, you will surely walk in to the unexpected. How can you possibly work on letter recognition that involves sitting and attending if the group is restless and several kids are crying!? Nope, it’s time for movement followed by deep breathing instead! Has the group calmed? Great! Proceed with your plan. Not so much? Adjust. There is no one “right” way. Your session plan will always be fluid and changing. This part of successful session planning is the most fun! Kids crave structure and routine, especially those with special needs! 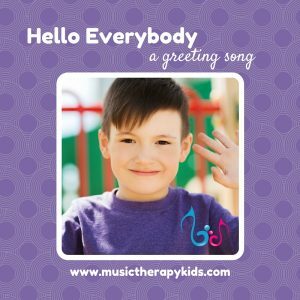 If you start your session the same way every time, with a “hello song,” your clients will know what to expect when they see you. You can create a safe space for them to work on goals and make progress. My son Jaxon who is typically developing recently completed several weeks of swim lessons. The first two days he cried. It was a new environment and situation but his teacher followed the same daily routine. By the 3rd day, he knew what to expect and begin to thrive and learn. The fourth week of swimming, his teacher asked us to come to a different pool. This was fine by me. However, day one in the new pool, we were back to tears and fear. Thankfully his tears were limited to just a few minutes but the routine changed. Change can be hard for any child but especially so those with special needs. Be mindful of the routines you create and how changes can affect each child. Need a Hello Song Idea? Check here. There are many goal opportunities here, but we will start with the basics. Labeling items is one of the first things we learn! Typically developing babies around 10-12 months old will start to sign or imitate a few words. They can actually understand words and signs before that! Be on the same page. When teaching vocabulary, you want to be on the same page as your team. What are the priorities of the parent? 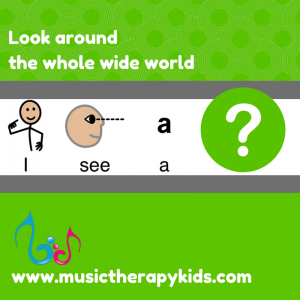 What words are the speech therapist and teacher targeting? What is written in the IEP? Start small. You can begin with even a singular item (actual item as opposed to a picture) or 2 items, one that is well known and one that is new. Work your way up to being able to find items from an array of choices. Transition to pictures. If your client is able to distinguish between objects, can she do so when given pictures? Check out the app Bitsboard for managing pictures of vocabulary. It has been a lifesaver for me! Need labeling song ideas? Here ya go. Did you know that kids with Autism are also likely to struggle with anxiety? So many of my kids experience additional stress from even the smallest changes in routine or schedule. And sometimes the anxiety is just there and may not have an external trigger. Good thing you KNOW that music can help! A calm environment. In a school setting in can be hard to create a quiet environment but I have found that most schools have a designated sensory room that reduces harsh lighting. If not, flip off the lights if you have a window (and be aware of any sensitivities the student may have to the dark….that can be a problem too). The child can sit upright in a chair, no need for closing eyes or laying down. Be a model. You might have to demonstrate how to take deep breaths. I have done this both live and with a recording. I like using a recording because I can properly demonstrate breathing instead of hiding behind my guitar! In real life. I had a student who came to music therapy very upset one day. He is sensitive the tiniest of changes (It took at least 3 sessions before he stopped crying during music therapy, but he now loves coming to our sessions!). His teacher indicated that earlier in the day something upsetting had happened and he had been perseverating on it. All. Day. So we sang the song I shared below. He was able to relax and participate in the session like always! In fact, he liked the song (and it’s results!) so much that he now requests it each week. I was able to give the recording to his teacher to use whenever he starts to become anxious which is working quite well for him. Yay for generalization! Need ideas for emotional regulation? Ta Dah! Modeling. If you are in a group with typical peers or have the teacher or assistant nearby, have them go first so the child can see what is expected. Use a musical cue. When the time to pass or share arrives use an obvious V7-I cadence that indicates it is time to do something! Pause the music and give plenty of wait time. Use other cues. These are last on my list because we want to encourage independence and avoid prompt dependence. You can say something like “The music stopped” or “[Next child] is waiting nicely.” to see if this sparks the child to action. Lastly, consider a concise verbal or gestural cue or a partial physical cue (such as an elbow tap). 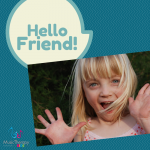 Need a fun social skills song? Right here. Again routine is key and it gives our clients structure. Give everyone a chance to verbally say “bye” or wave! You can also prep your client or group for whatever is coming next in the day. Many of my clients have grown to love the goodbye song. And If you know me, you might know that I used the same goodbye song for many years. I finally decided to write a new one because I figured if I was sick of it, wouldn’t everyone else be too? Though most of my clients have finally transitioned to the “new” goodbye song, I had many varied reactions. One teen told me “No new goodbye song. Old goodbye song.” One group sang all the old words to the new melody! One child threw an outright tantrum over having a new closing song. Bottom line, use a closing ritual. And use what works for you! Want to be a Session Superstar? Wow! 3400 words later, we have covered a LOT of material. 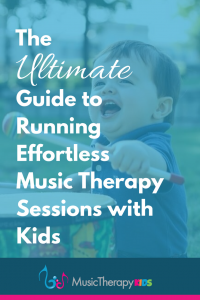 My goal at Music Therapy Kids is to help you make effortless music with kids who have special needs. This guide does exactly that. If you are looking to go deeper, get real life help from me, and expand your repertoire of music therapy interventions, I would love to tell you all about Session Superstar! 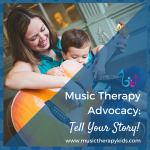 Session Superstar by Music Therapy Kids is a program for music therapists working with kids that I have been developing over the past year. Together we will go deep when it comes to running your sessions, problem solving, and using creative interventions that your students, teachers, and parents will LOVE. CMTE credit will be available. Want to be one of the first to know when Session Superstar is available? Don’t want to miss the details? Sign up below AND I’ll send you a free song download too! Be the first to know when Session Superstar is released! And get a bonus mp3 download! You are in the know! Now check your email to confirm your subscription and get your mp3!